Jan Marie is managing partner at Hales & George and has provided counsel to individuals and families on estate planning, trust administration, and probate matters for over 30 years. She has also testified as an expert witness for court matters involving Estate Planning and Trust Administration. In addition to her practice, Jan Marie frequently presents on estate planning for audiences locally, nationally and internationally. Jan Marie has been recognized by her peers, various publications, and other entities for her work. Martindale-Hubbell named Jan Marie AV Preeminent, the highest rating of skill and ethics for an attorney. She was first named to Super Lawyers magazine’s list of top lawyers for Northern California in 2010 and subsequently every year through 2018. 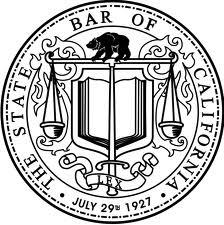 Jan Marie is admitted to the State Bar of California, the U.S. District Court, Northern District of California, and the Ninth Circuit of the U.S. Court of Appeals. She earned her J.D. from the Santa Clara University School of Law and completed her undergraduate degree at Boston College.